After a month or so of dead air, rumors and talks concerning the next installment in Rockstar’s hit and most critically acclaimed open world, western action-adventure video game series have been set alight once again by the publisher Take-Two Interactive’s new announcement. Giving a glimpse on what the company is planning for next fiscal year, Take-Two Interactive, besides confirming a next-gen exclusive Borderlands game, revealed that there are numerous “exciting” titles from other popular franchises in development, and it is suspected that one of them might be Red Dead Redemption 2. Rumors regarding Red Dead Redemption 2 run months back, and the interesting thing is that instead of ruling them out as fake, Take-Two Interactive has always itself supported the debates on the topic by hinting towards the existence of the game. It was previously rumored that the next title in the Red Dead series would be a sequel to the blockbuster Red Dead Redemption with co-op mode in the focal point, and now, the developer has rolled out a statement which yet again seems to be hinting that Rockstar is currently working on the supposed sequel. Recently, Take-Two Interactive held its financial conference call for the fiscal quarter which concluded on December 31. Beside numbers and figures, the publisher provided a glimpse at what players can expect for the next fiscal year, and beyond. The publisher confirmed that NBA and WWE 2K will get their annual releases, and that 2K Games and Gearbox software are working on a brand new Borderlands game that is mainly aimed at the next-gen consoles. With all that, players can also expect “exciting” new unannounced games from other popular franchises. “Users can expect new annual releases from our NBA and WWE 2K series, as well as exciting, yet to be announced titles from other popular franchises. Looking further ahead, we have a robust pipeline of titles in development, including ground breaking new intellectual properties, and new releases from our proven franchises. For example, we can confirm that 2K and Gearbox software will develop an all new Borderlands game built specifically for next-gen consoles. In addition, we have numerous unannounced titles in development, as well as innovative offerings designed to maximize player engagement and drive recurring consumer spending. 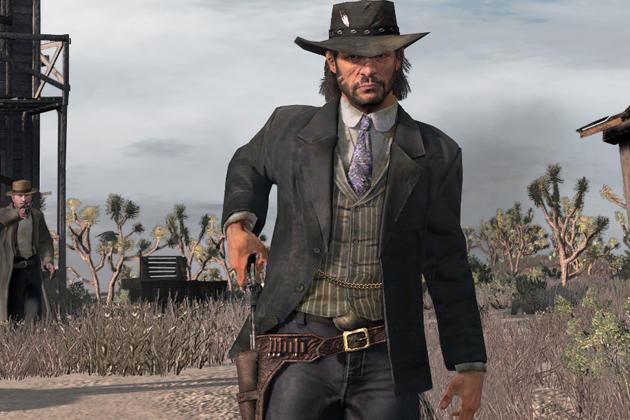 Of course, it is very much possible that one of those unannounced games is the most desired Red Dead Redemption 2. Unfortunately, Take-Two Interactive did not comment on whether Rockstar will be producing any title for holiday Season 2015, or when will the new Borderlands released. The only thing we can do now, as usual, is wait and see what Rockstar is planning to do this year.